Since Hard Hats and Doormats' Lexi Burke spends so much of her life traveling, naturally she has a playlist to accompany her wherever she goes. Because she never knows exactly what her mood will be, her playlist covers a lot of territory. Check out her travel playlist on Spotify. What are your favorite songs to listen to when hitting the road? Be sure to share the title and artist, and the favorites will be added to Lexi's list. 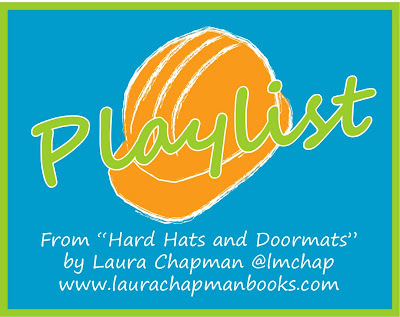 Hard Hats and Doormats will be available in print format soon! Stay tuned for details. Thanks. It was fun to imagine what Lexi's travel playlist would sound like.